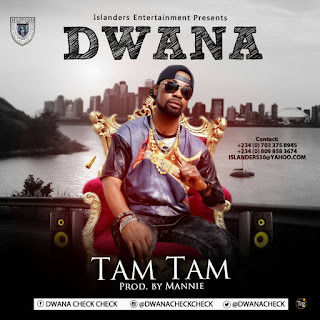 Islanders Entertainments front act and WazobiaFm OAP “Dwana” brings us this amazing tune (TAM TAM), which means “Sweet and Elegant”. Its a song that will enhance your listening pleasure. Produced by “MANNIE”. Mixed and Mastered by TRIBALSOUNDMIX.